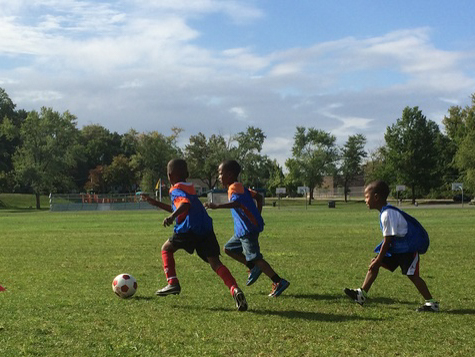 Hartford Soccer Club is an official program partner of Active City. HSC runs recreation, travel, and premier level soccer throughout Hartford. Boys and Girls ages 3-14 are invited to play. Spring soccer starts April 20th, register online now! At this age we emphasizes fun and play while learning the basic skills of soccer. Cost is $25 for the season. Rec. Soccer will continue to emphasizes fun and focus more on soccer skills, team work, and playing the game. Kids are divided by age and spend half the time on skills and drills and the second half playing games. Travel Soccer involves age specific teams that play against teams from other towns. You don’t need great soccer skills to play on a team but you must be committed to come to practice and games and to want to learn. Teams practice one or two nights a week and have games on the weekends. If you are interested in our travel soccer program please reach out to Brian Gallagher at Briangallagher82@gmail.com. Cost for Travel Soccer is $50* per season.